What is it that makes some wood sustainable, and puts others on the “do not buy” list? For starters, sustainable wood is legally sourced. In 2008, the U.S. banned the import of timber from illegal sources—but of course, it still happens. If the supplier you’re buying your wood from can’t tell you where it originated, chances are it did not come from a source that manages forests responsibly. Secondly, sustainable wood should carry the seal of the U.S. Forest Stewardship Council (FSC). FSC is devoted to ensuring that forests are regrown, biodiversity is preserved, and air and water quality are protected. The non-profit’s stamp of approval indicates that forest operations met 57 criteria ranging from protecting local wildlife to minimizing use of toxic chemicals to letting loggers unionize if they want. 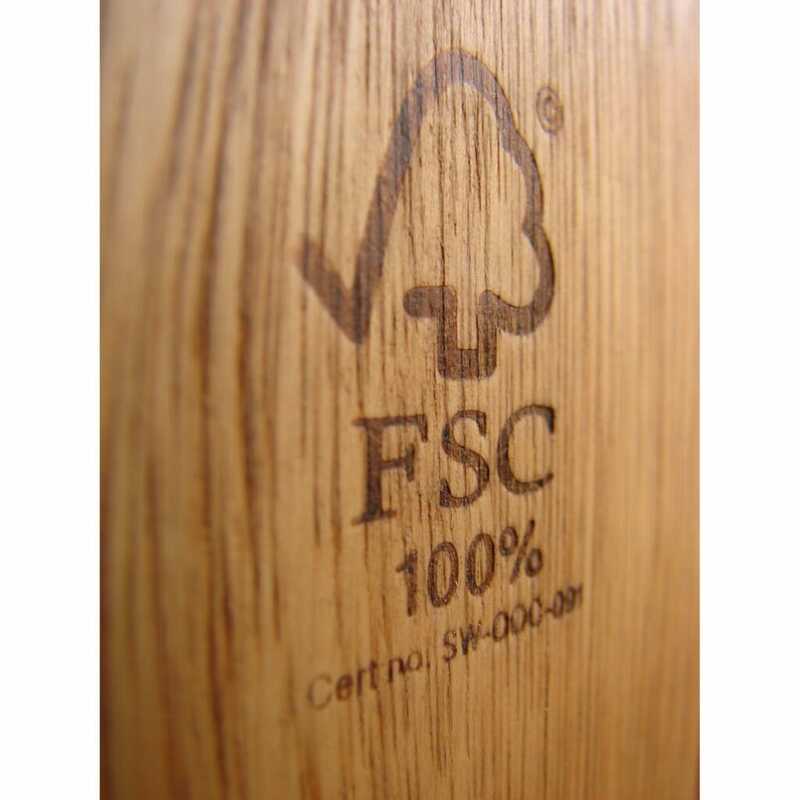 Wood products from forests managed to FSC’s standards bear the FSC logo, as well as a “chain of custody” number which makes it relatively easy to trace them back to their source. And finally, FSC-certified wood does not come from clear-cutting (which is among FSC’s standards, but bears singling out), or from forests in which “high conservation values” are threatened. Selective harvesting protects the soil and the forest ecosystem. Clear-cutting leaves areas open to insect infestations, disease, and mudslides. Plus, it has a negative impact on climate change. A study done on forests in the northern US found that soils there store up to 50 percent of the ecosystem’s total carbon. That carbon is more easily released when the trees are cut and essentially scraped off the land. 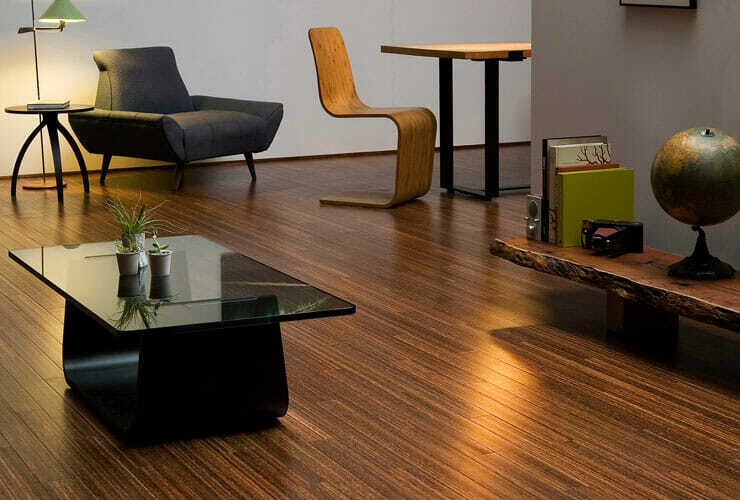 With these criteria in mind, what are the types of sustainable wood available if you need a new floor? Tree plantations help relieve the pressure to harvest natural forests, as long as those forests aren’t replaced with plantations. One advantage of domestic tree plantations is that they produce and ship locally, reducing the carbon emissions otherwise generated when lumber is shipped from another continent. Reclaimed wood comes from sources like old warehouses, boxcars, military structures, underground piers, dismantled houses, and even logs pulled from the bottoms of rivers where they sank on their way to the mill. Typically, reclaimed wood is more expensive due to the extra labor required to retrieve the wood, clean it, re-mill if needed, and remove the nails that still may be embedded in the wood. But if you can afford the price, this is one of the most eco-friendly options available. It keeps the wood from rotting or ending up in a landfill, it reduces the need to plant and harvest more trees, and it perpetuates the reduce-reuse-recycle formula that is such an important part of the sustainability equation. Since reclaimed wood is considered recycled content, it meets the “Materials & Resources” criteria for LEED certification. Companies like Oldewood Reclaimed Wood Flooring showcase the beauty of reclaimed oak, maple, Douglas fir, and heart pine here. Many trees are bound for the waste stream because they’ve become too “old” or diseased, because they stand (literally) in the way of development, or because they suffer from storm damage—but all of these trees still make great planks. In fact, these high-performance FSC-certified floors (pictured above) were repurposed from salvaged shipping crates made from tropical hardwoods. In communities ranging from Ann Arbor, Michigan to Los Angeles, California, local entrepreneurs are turning fallen trees into flooring and furniture, too. Bamboo is replacing wood for many consumers who want both the beauty and the durability of wood without the potential environmental impacts that come from harvesting forests. The plant fiber is naturally anti-bacterial, water-resistant and tough. Plus, bamboo is so fast-growing, it won’t diminish hardwood forests that have taken decades to mature. Bamboo is 13% harder than maple, and 27% harder than northern red oak, while expanding and contracting 50% less. Cork comes from the bark of the cork oak tree, which can be safely harvested so as not to harm the tree. In fact, the bark regenerates within three years for harvesting anew, which makes it a particularly renewable resource. Because it’s dense and a little spongy, cork is particularly good for rooms where you might do a lot of standing or need some noise absorption, like kitchens and basements. You do need to protect it from fading in intense UV light, so don’t install it in a sunroom or in front of a big bank of windows. Also, cork expands and contracts depending on humidity levels, so it wouldn’t be ideal in a more tropical setting. Palm trees that no longer produce coconuts are getting a second life as a building material. This variety of palm flooring (shown above) includes Flat Grain, Edge Grain, Sugar Deco and Red Palm. Both palm and bamboo floors may be bound together with formaldehyde or other chemicals you wouldn’t want off-gassing in your home. Before you buy, find out what kind of binders were used to manufacture the floor. If the floor must be installed using glue, make it water-based. And finish the floor with a low- or no-VOC finish. 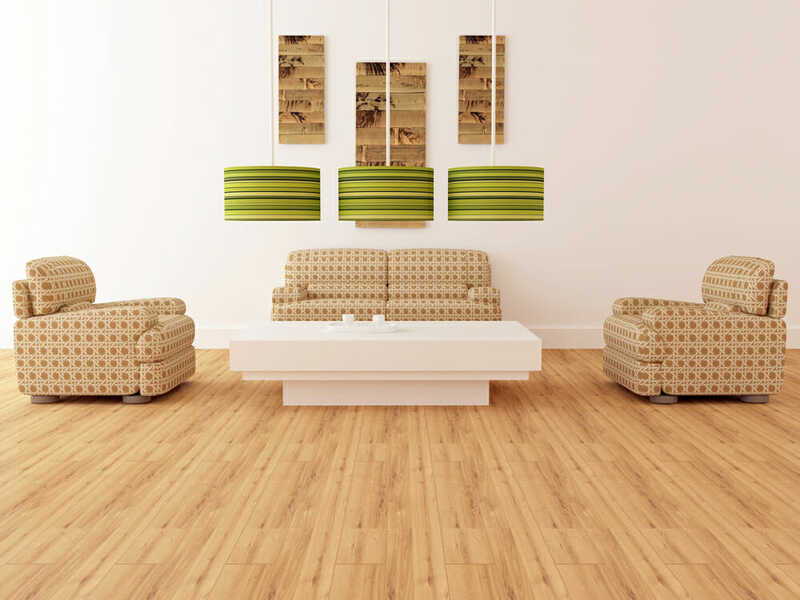 Have you used sustainable flooring in your home? Tell us about it in the comments below!